After three years full time study in Beauty Technology, and with over twenty years experience as an Aesthetician, Salon-Spa Manager, Aromatherapist, and Salon Owner, South African born Merle Celine-Muller had learned the detailed needs and preferences of her client�s skin care products. Having realized that many of the lines she was retailing in her salon were becoming extremely large, complicated and costly to her clientele, she saw the need for simplicity. With her knowledge and experience playing an important role, paying particular attention to ingredient technology and working very closely with experienced chemists she began the development of SIMPLY PORCELINE. The results achieved are a superior quality skin care product line formulated with high quality botanical extracts and natural derivatives using the most advanced technology in skin care that is moderately priced simple to use yet exceptionally beneficial and efficient in performance. 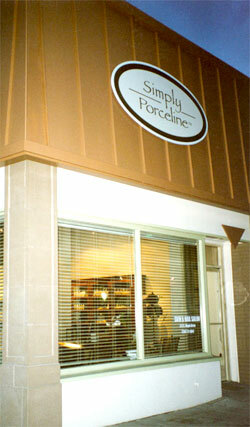 The concept of SIMPLY PORCELINE is to obtain results of a healthy and glowing complexion with a quick and simple routine. To keep the skin clean, moist and well protected and help to minimize the appearance of fine lines and wrinkles. SIMPLY PORCELINE does no animal testing and no ingredients are used that may clog the pores or be irritating to a sensitive skin.